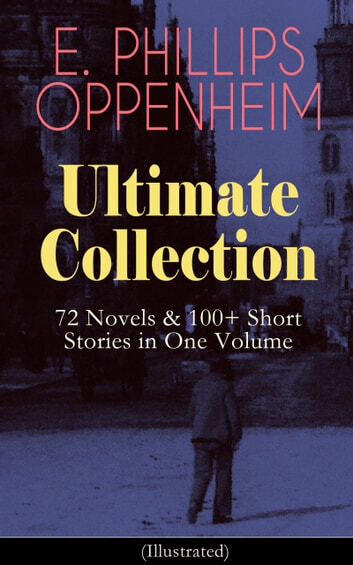 This carefully crafted ebook: "E. PHILLIPS OPPENHEIM Ultimate Collection: 72 Novels & 100+ Short Stories in One Volume (Illustrated)" is formatted for your eReader with a functional and detailed table of contents. Table of Contents: NOVELS The Great Impersonation The Double Traitor The Yellow House The Black Box The Devil's Paw A Maker Of History The New Tenant Mr. Grex Of Monte Carlo A Monk Of Cruta The Cinema Murder A Modern Prometheus Berenice The Box With Broken Seals Expiation The Ghosts Of Society The Yellow Crayon The Golden Beast The Peer And The Woman To Win The Love He Sought False Evidence Mr. Marx's Secret The Great Secret The Double Life Of Mr Alfred Burton The Amazing Judgment The Postmaster Of Market Deignton Mysterious Mr. Sabin A Millionaire Of Yesterday The World's Great Snare Enoch Strone; Or Master Of Men The Great Awakening; Or A Sleeping Memory The Survivor The Traitor A Prince Of Sinners Anna The Adventuress The Master Mummer The Betrayal The Malefactor A Lost Leader . . . SHORT STORY COLLECTIONS Peter Ruff And The Double Four Michael's Evil Deeds False Gods The Money-Spider The Girl From Manchester The Road To Liberty One Luckless Hour One Shall Be Taken A Prince Of Gamblers The Little Grey Lady The Restless Traveller The Three Thieves The Amazing Partnership As Far As They Had Got "Darton's Successor" The Outcast The Reformation of Circe Master Of Men The Two Ambassadors The Sovereign In The Gutter John Garland—The Deliverer The Subjection Of Louise The Turning Wheel Mr. Hardrow's Secretary The Perfidy Of Henry Midgley The Prince Of Crersa First Of The Fools The Great Fortuna Mine The Hundredth Night An Amiable Charlatan; Or The Game Of Liberty Quits ... E. Phillips Oppenheim, the Prince of Storytellers (1866-1946) was an internationally renowned author of mystery and espionage thrillers. His novels and short stories have all the elements of blood-racing adventure and intrigue and are precursors of modern-day spy fictions.